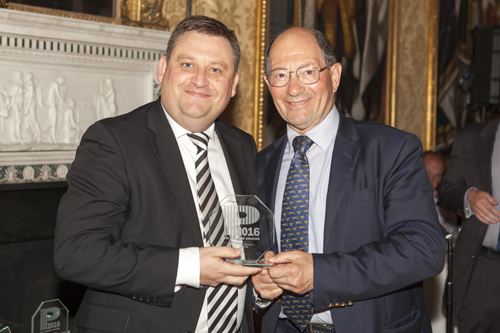 RISCO Group, the manufacturer of end-to-end solutions for the professional security market, is celebrating its win for the hotly contested Software Product of the Year Award at this year’s PSI Premier Awards. 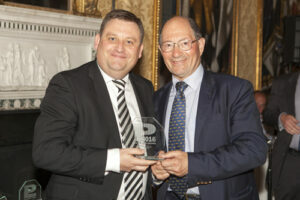 RISCO Group’s success makes it a trio of triumphs at the PSI Premier Awards. Last year it was awarded Intruder Product of the Year for its smart wireless security and safety system, Agility™3. In 2014 it battled it out in the same category and emerged victorious thanks to the LightSYS™2 professional hybrid system, which offers ultimate flexibility, with advanced IP and GSM/GPRS or STU adaptor communication, as well as a choice of wired, wireless or bus detectors. Compatible with both Agility™3 and LightSYS™2 VUpoint seamlessly integrates IP cameras using the RISCO Cloud, which is powered by the Microsoft Azure Cloud platform. RISCO Group has a longstanding relationship with Microsoft and therefore fully understands the implications of the cloud model and designs solutions that deliver a higher level of security than many traditional on-premises solutions. VUpoint provides an unprecedented level of security with live video monitoring capabilities for both monitoring centres and end users. Users can monitor their premises in real time and look at live video clips of up to 30 seconds length through RISCO Group’s intuitive iRISCO smart phone app. In addition, video clips can be activated in response to a wide range of triggers – detector alarm event, panic alarm, or system disarm by code – providing unparalleled peace of mind for end users, and enabling monitoring centres to simply verify false alarms, saving on unnecessary visits to a premises and wasted resources. VUpoint will also be integrated into RISCO Group’s soon to be launched range of SmartHome products, as well as its ProSYS Plus G3 panel, which offers single hardware platform with a unique licensing mechanism – allowing virtually unlimited scalability for any size of installation up to 512 zones.